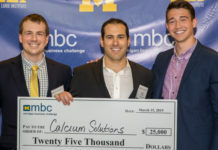 Over 100 teams participated in Round One of the Michigan Business Challenge (MBC) this December. Of this diverse group of entrepreneurial students, 24 teams advanced to pitch their business concepts in MBC Round Two last Friday. This round featured 18 teams in the Business Track and ten in the Impact Track; four of the teams participated in both tracks. Every year, 1M+ babies die of respiratory illness; 99% of these deaths occur in low-middle income countries. AIM Tech has developed an affordable, high quality, low-tech pressure ventilator. Our patent-pending, award-winning NeoVent costs less than 1/100th the price of existing ventilators, is easy to use and requires no electrical power. We are already approved for clinical testing and plan to implement NeoVent around the world to save millions of infant lives. Carrycott designs baby strollers to make family outings more delightful. Currently, strollers are four-wheeled, bulky transportation products which are a bane for families living in crowded urban communities. This is why we created the Carrycott, the world’s first dual wheel self-balancing stroller which is arguably the easiest to close and carry and most intuitive to maneuver. Having the Carrycott makes going outdoors more convenient for the parent and more comfortable for the child. Kulisha is a for profit biotechnology company that is developing a proprietary system that enables wastewater treatment plants to integrate black soldier fly larvae (BSFL) into the waste byproduct sludge at the end of the treatment process, removing the need for disposal, which is 15-50% of total operational costs. The BSFL do this by consuming the sludge resulting in larvae and larvae feces, which Kulisha then separates and respectively sells as a protein base in animal feed and an organic, agricultural compost. Morning Brew: Morning Brew is a business news and educational content company with the purpose of connecting college students with the business world in a way that engages, educates and inspires. Currently, Morning Brew is a daily e-mail newsletter that provides the business-interested college student with a concise and conversational four-minute read about all things business. MoxyTech aims to bring precision to pain care. MoxyTech’s flagship technology, GeoPain, gives patients the ability to communicate more effectively with clinicians and pharmaceutical manufacturers, leading to a reduced measure of primary care, smaller clinical trials, and better care. By leveraging proprietary technologies and user-driven design, Moxytech has made the communication of pain objective and quantifiable at the individual and population level. Panacea Health is developing a mobile/web-based platform for the measurement of post-market approved prescription drugs safety and effectiveness, as well as associated quality of life in real-world patient population. proteinbits™ is an on-the- go bite-size protein snack made with the highest quality all-natural ingredients. proteinbits™ are served fresh in a handheld resealable package, making for the healthiest, tastiest, and most convenient high-protein snack on the market. As the population becomes increasingly health-conscious, proteinbits™ has the opportunity to grow into one of the largest nutrition brands in the world. SAHI Cosmetics provides customized private blend cosmetics for women of medium skin tones. From personal experience in the makeup industry, the SAHI team realized that no other brand caters to medium skin tones and it is a huge problem for women of Arabic, Indian, Pakistani, Mediterranean, and Hispanic descent. From the founder’s experience as a materials science engineer to our collective experience as makeup artists, we have carefully curated luxurious products that match our target complexion range. Kladder is a mobile and social platform aimed at combating the substantial disparity in career advancement suffered by diverse professionals. 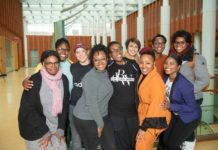 Our solution is driven by connecting diverse professionals, spotlighting the high achieving and underexposed, and curating original content to arm diverse professionals with the necessary resources to advance their careers. Sage & Grace is a website and concierge service that helps grieving families navigate the funeral planning process. By empowering and educating consumers, Sage & Grace helps them significantly save money and time, reduce stress, and process their grief more effectively. 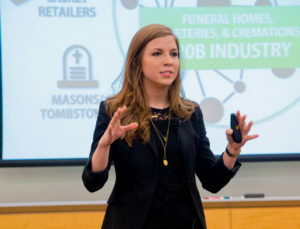 This platform also increases consumer awareness of predatory sales practices and emerging industry trends that can drastically minimize the negative environmental impacts of funerals. 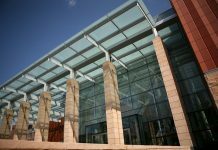 The MBC Semi-Finals, Finals, and student showcase will be held February 17 at the Ross School of Business. 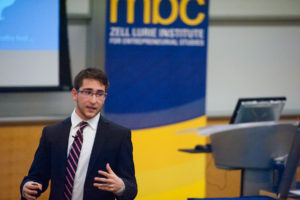 For more information on the competition, please visit: http://zli.umich.edu/programs-funds/michigan-business-challenge. 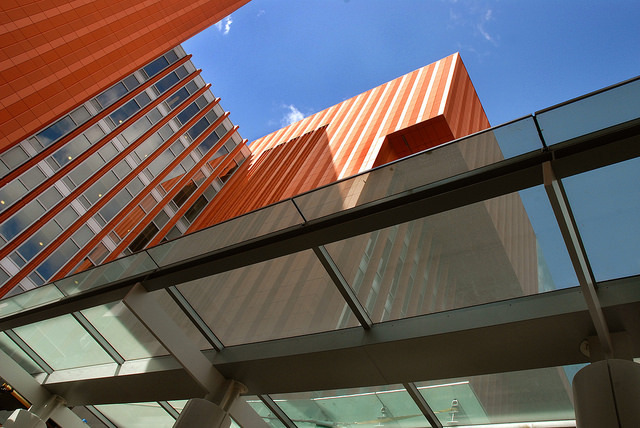 The globally recognized Samuel Zell & Robert H. Lurie Institute for Entrepreneurial Studies provides the curriculum, program initiatives, community involvement, and alumni outreach activities that deliver exclusive resources for future entrepreneurs at the University of Michigan. © 2016 Samuel Zell and Robert H. Lurie Institute for Entrepreneurial Studies, All Rights Reserved.